We are familiar with his story. 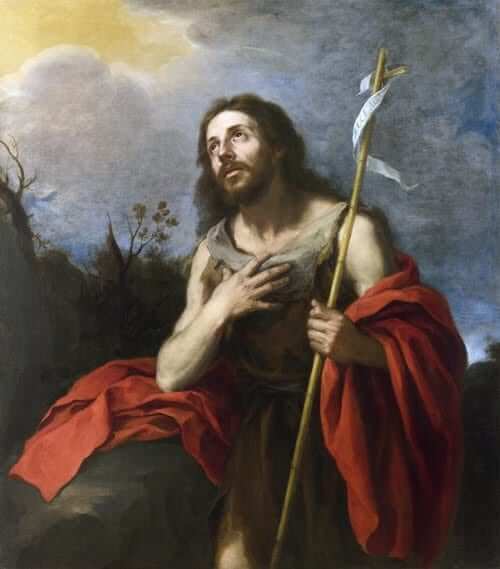 His wife became pregnant with John the Baptist by a miracle in her old age. When it was revealed to Zechariah by an angel that this would take place, he failed to have faith in this promise and doubted. The result was that he was struck mute until the moment that John was born. It was at that moment when Zechariah acted in fidelity to the revelation of God by naming his baby “John” as the angel had requested. This act of fidelity on Zechariah’s part loosened his tongue and he began to speak the praises of God. This witness of Zechariah should be an inspiration to all who seek to follow the will of God in their lives but have failed. There are many times when God speaks to us, we hear Him, but we fail to believe in what He says. We fail in fidelity to His promises. The result is that we suffer the effects of that sin. At first, the effects of sin in our lives can seem like a punishment. Indeed, in many ways they are. It’s not a punishment from God; rather, it’s a punishment of sin. Sin has devastating consequences in our lives. But the good news is that those consequences of sin are permitted by God as a way of drawing us back to fidelity to Him. And if we allow them to humble us and change us like Zechariah did, we will be able to turn from a life of infidelity to the will of God to a life of fidelity. And a life of fidelity will enable us to ultimately sing the praises of our God. Reflect, today, upon the ways that you have not been faithful to God in your life. But think of it in the context of hope. Hope that God will receive you back and transform your life if you return to Him. God is waiting and His mercy is abundant. Allow His mercy to fill you with a heart that blesses the goodness of God. Lord, help me to see my past sins not so much in despair, but as reasons to return to You in greater fidelity. No matter how many times I have fallen, help me to get back up and to faithfully sing Your praises. Jesus, I trust in You.